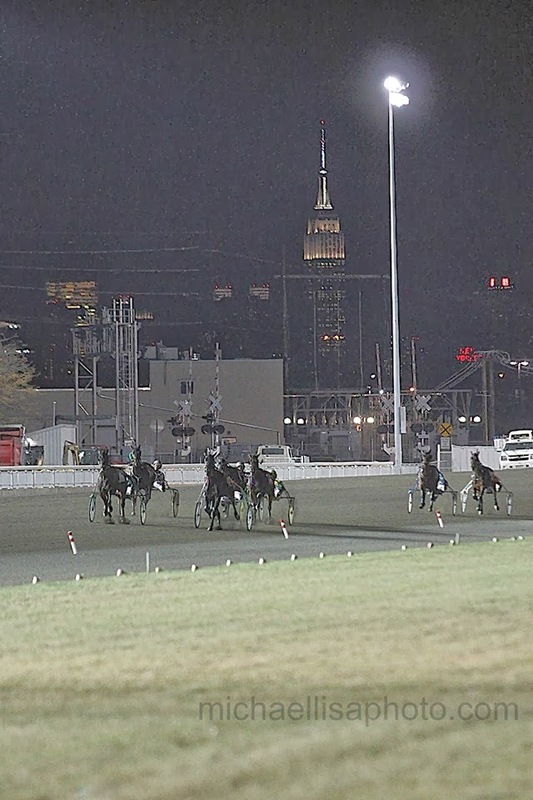 The new Meadowlands opened amid the season’s first wintry mix. For a few of the first races of the refurbished racetrack, pacers wallowed through snow and rain. As the track’s second weekend of the landmark meet approaches, a gargantuan storm travels up the East Coast but hopefully will have no affect on the Nov. 30 program. The snow, ice and rain may be history by the time Captaintreacherous and Bee A Magician attempt to make their own marks. The former takes on older pacers and the later goes for a perfect season of 17 wins. On Sunday, glamour-boy pacers are the highlight at Dover Downs in the Progress Pace, which wraps up the stakes season on the first day of the last month of the year. The contest of which every harness bettor and fan dreamed will be a center point of the Meadowlands’ $3.4-million program Saturday night as Captaintreacherous, the champion soph-colt pacer, faces stalwart older horses in the three-year-old-and-up Free For All worth $512,000. Captaintreacherous will start from post 8 against nine of the best free-for-all pacers in the country, including Foiled Again and Pet Rock, who have set up their own rivalry all season. The stakes are high for the 10 pacers, so aggressive driving with horses taking no mercy on one another is likely. That said, there are two scenarios possible, one where the youngster prevails and one where older wins. Starting with the youngster scenario, the only way Captaintreacherous can win the race is with a pocket ride. Whether it is directly behind the leader or racing close early, a great amount of speed in the first quarters will surely benefit a winning journey. This speed scenario will likely be set by Golden Receiver, who always works for the front, Bolt The Duer, who takes no prisoners when gunning for the front, and Sweet Lou, who has recently found a forte racing on top. What makes this speed scenario more extreme is that “Bolt” drew post 10, where speed is necessary early to be put into the race. A lead-killing first quarter will set the fire for anyone in close proximity to the lead, which if Captaintreacherous wants to win, he’ll need to be placed. The other scenario too involves dying speed, but will not go to Foiled Again or Pet Rock. All year, Modern Legend has come close to winning, but with this being the final major race of the season, it will be all-things go for everyone. Since Modern Legend races off the pace, as well as draws well, a fast pace would just benefit his closing talent and give him the win he deserves against this group. In the $500,000 Free For All with the older trotters, Wishing Stone will look to repeat his outsider victory in the prep. But Market Share will be bet heavily again and will have more to say about which horse tries to steal the race on top. We liked how Arch Madness stayed close to the leader last week and finished second effortlessly. He may be a bit more aggressive late this time and be able to save ground for the big push, edging out Market Share at a price. A quartet of stakes for two-year-olds of both sexes and both gaits, are also on the Meadowlands program. In no particular order, here is our analysis of each. 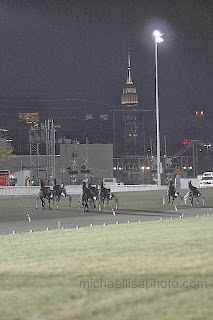 Frosh-colt trotters, some of them next year’s Hambletonian hopefuls, line up for the $494,750 Valley Victory. The top hopeful, Father Patrick, has already tossed in his horseshoes for this season, which may be judged as charity considering how he dominated all of the members of this mile. Nuncio, who finally satisfied our status appointment as second best in the late season (we endorsed him in both Breeders Crown races with “Patrick” after supporting his talent most of the year), comes off a sweep of the division in Matrons and faces most of those he has already defeated. He will be the top choice—that bet is a lock. But can he be beaten here? Muscle Network may go undetected as a decent contender, hiking his odds to overlay status. He is back after a difficult “Crown,” breaking in the prep and going a rough trip in the final. But he was on his game before that for trainer Jonas Czernyson, a productive conditioner. With Southwind Spirit probably settling as the second choice, “Network” could be a high third or fourth choice, a worthy wager at those levels. The frosh-filly trotters untie for the $456,150 Goldsmith Maid. The short field may be hopelessly struggling for a way to defeat Shake It Cerry. Other than a major misstep by “Cerry,” the quintet against her needs divine intervention to win. Though the obvious exacta partner would be Scream And Shout, you could look for a better price with the chances of Sweetie Hearts, who comes with a good resume from a strong fall series in Canada. The richest of the finals is the $534,500 Governor’s Cup, showcasing the sport’s top young boy pacers. The final has become an open betting affair, due to the scratch of Somestarsomewhere early this week, provoked when the Ron Burke trainee pulled a curb while training. Burke reported this injury as “minor” and that it will not affect his colt’s three-year-old season. With the public’s choice currently on the fence, the 2013 Governor’s Cup has become a true bettors’ event. Many freshmen are coming into it in top form, such as So Surreal, Jk Endofanera and Stevensville. The division’s favorite early this season, Arthur Blue Chip–we had him before he caught on, when he paid well (Metro elim), seeks redemption off of a bad trip in the Crown. We like his chances. Improving with two qualifiers at the Meadowlands, the speedy son of Shadow Play is making the first major appearance of his career, having scratched out of the Metro Final and not making the Crown final. Looking back to the Crown, he was parked the mile, setting fractions of :53.4 and 1:22.2 in a battle against Luck Be Withyou. The colt showed that he doesn’t need to race on the lead in his most recent qualifier, which will likely be a winning position with the tremendous amount of speed these guys offer. Bad news came early this week as I Luv The Nitelife was scratched from another Nov. 30 feature, the $167,500 Nadia Lobell. Suffering an undisclosed injury that demands surgery and threatens to end her career, the super filly and domineering damsel of this division won’t be the main problem of the stake’s field. However, what was one big problem becomes, in its absence, a myriad of problems, as chances to win spread out among the cast. That opinion is not shared by many, as the three obvious choices, Charisma Hanover, Shebestingin and Somwhereovrarainbow will contest the favorite’s spot, according to all handicappers. But this is not a match race between those three. In fact, the presence of all three could conspire into the perfect storm for an upset. For instance, Jerseylicious has competed against the top of the line sophs all season but has not had a chance to pace late at a lot of speed. That speed should be present as the top three may shuffle the fractions before the final turn. That may give Jerseylicious the opportunity she needs. One thing is certain, she will be a high-priced fourth choice at best, an overlay no matter how you cut the mile or evaluate the field. Bee A Magician hopes to race similarly to all of her 16 starts this year and win as easily in the $253,000 Moni Maker for glamour-girl trotters. This, above all of those 16 races, however, could be the one that allows us to bet against the queen of ’13. Which scenario could manufacture the filly’s first loss of the season? The possibilities exclude a break; only a severe trip problem could make the difference of a nose at the finish line. That is the fun bet—not the heavy one—to make, which has some potential to turn a virtual exhibition race into a contest. Parking “Bee” is possible from four gals: Ma Chere Hall, Andie Sophia, Little Bitty Lies, Time To Kill and Mistery Woman. The only chances this quartet has center around major speed challenges or building a wall that forces Bee wide more than once in the mile. Time To Kill may fire for control, as will “Lies,” the cheapest of the lot, and Andie Sophia could try to take over or thicken the outer flow along with Mistery Woman by the half. If Bee is not in command by the half there may be hope for an upset from “Chere,” who could get the best ground-saving trip from the outside scenario. Dover’s signature race, the $284,160 Progress Pace, is set for this Sunday, Dec. 1. Morning-line favorite Sunshine Beach will seek redemption in the sophomore final after losing to last year’s two-year-old colt pace Matron winner Twilight Bonfire in the elim. The other scenario also involves fading speed but may not go to Foiled Again or Pet Rock if they attack one another dearly. All year, Modern Legend has come close to winning but with this being the final major race of the season it will be all-things go for everyone. Since Modern Legend races off the pace, as well as draws well, a fast pace would just benefit his closing talent and give him the win he deserves against this group. Dedi’s Dragon’s main accomplishment this season was defeating Captaintreacherous, a near impossible feat by a colt with his record. In the Progress preview he got away 13 lengths off the lead, entered the two wide flow by being placed third over and closed to finish third through moderate fractions. He will start from the rail this week, which should allow him to be placed a bit closer to the lead. With faster fractions likely in the final, the race should set up for the Burke trainee. 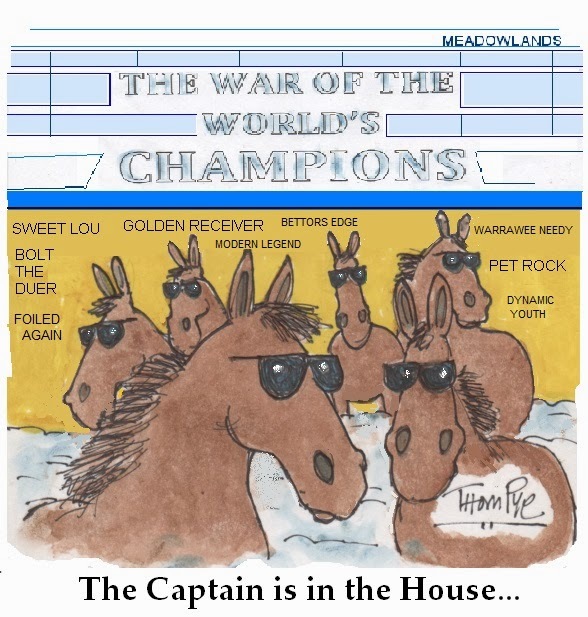 Beginning with the adolescent situation, the main way Captaintreacherous can win the race is with a pocket ride. Regardless of whether it is specifically behind the easy assignment help pioneer or hustling close early, a lot of speed in the primary quarters will unquestionably profit a triumphant voyage.